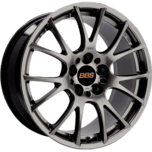 BBS offers a range of technology ladened wheels for your car. Forging generates the highest degree of material density and weight reduction for top performance from BBS’s high strength and durable aluminium or magnesium alloys. 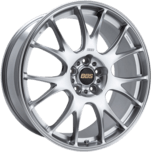 Powerful yet refined, this wheel is an ideal choice for SUVs. 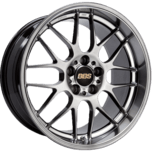 The sides of the spokes are specially designed to trim excess weight. 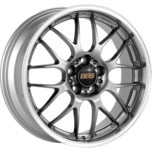 Advanced 3D cutting helps make this wheel lightweight, while its refined curves give it a touch of luxury. 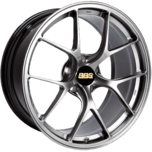 Over the decades, BBS has perfected its original forging and cutting technologies. 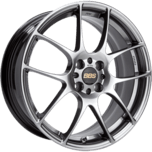 Born of this expertise, this wheel features 5 dynamically slender cross spokes. 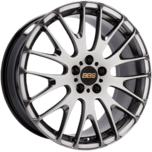 It not only looks light; it is the lightest of our 17-inch wheels, contributing to an exhilarating drive feel and a sharper handling feel. 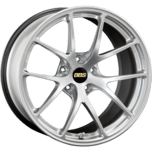 A long-selling product from our 1-piece series, this wheel features the classic BBS cross spokes. 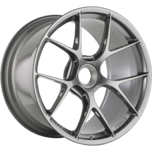 An example of modern taste, this innovative design is an excellent choice for high-end vehicles. 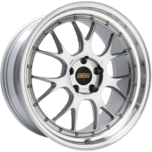 The lightest of our 2-piece wheels, this model features titanium rim bolts and a specially processed rim to trim excess weight.